This in depth two part overview sets out to examine the use of increasingly sophisticated electronic technologies in the global oil and gas industry. Part One here, focuses on the use of drones and other devices for the laser scanning of oil and gas facilities to monitor and quantify methane leaks and flares. Part Two will examine the growing use of analytics in E&P (exploration & production) engineering data and digitalisation. At a recent conference hosted by the London based Geological Society delegates heard that electronic gas emission monitoring technologies can expect to be ramped up over the coming years. The reason, delegates were told, is quite plain: the oil and gas industry is under pressure like never before to demonstrate that electricity from gas generation is better in global warming terms than generating electricity from coal. Indeed the conference was warned, failure to demonstrate its clean credentials could effectively kill off the gas industry’s ambitions as a replacement fuel for coal. Measuring methane emissions from an entire facility is very hard. But the oil and gas geophysicist’s skill-set, including various sensors, electronic sniffers, ultrasonic, gas imaging and different types of laser, is improving. FLIR Systems Ltd, the US headquartered designer and producer of thermal imaging cameras, components and imaging sensors, is partnering with software provider Providence Photonics to produce an update to its thermal infrared optical gas imaging (OGI) camera. The cameras are used in oil refineries, natural gas processing plants, offshore platforms, chemical/petrochemical plants and power generation plants. Steve Beynon, Sales Manager North Europe with FLIR Systems said, “Our standard OGI camera, the GF320, has been available for about ten years. And based on tests conducted by CONCAWE in Belgium and elsewhere, we are carrying out constant improvements to the marque.” Although OGI cameras have been widely used for detecting hydrocarbon leaks, they have not hitherto been successful in quantifying them. But as Beynon said, “OGI carries the promise that you can actually evaluate the rate of a leak, using some analysis of the visual image of the gas cloud, and so work out how much is leaking. It isn’t a straightforward method, but it is perhaps the best way to quantify the size of a leak.” Tests on the camera conducted by the UK’s National Physical Laboratory (NPL) determined that it could detect a leak of just 0.4g/hr at a range of 65 feet from the camera to the leak source. Other tests have shown the system was able to detect leaks of 1-20 litres per minute of methane and propane. The camera can also see parts of the facility which detectors such as sniffers cannot reach. For instance, it can differentiate between two leaks in close proximity, which a sniffer would find difficult to do. Meanwhile, Quantum Light Metrology (QLM), a spin-off from Bristol University that was founded in 2017, is developing a laser scanning technology for methane that can be mounted on a drone. The technology will generate a 3D image of the size of any methane cloud, which can then be used to evaluate the size of every leak in an entire facility. The computer generates a picture of methane concentration based on 1m2 ‘cells’. 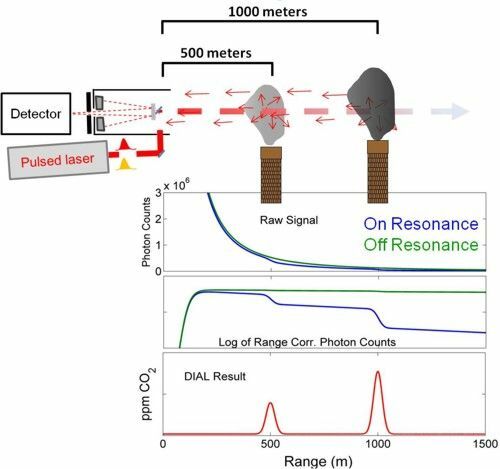 Although laser remote gas sensing technology is in itself not new, the company has developed a way to miniaturise it – down from 20kg to around 2kg – so the technology can be pole mounted or fixed to a drone, rather than on a more expensive helicopter. The company is working with industrial drone operator, Sky Future. The UK sensor data management company, Dashboard, is also exploring partnership options with QLM. Dashboard provides a cloud based system for storing sensor data of various types from pipelines and industrial applications and doing analytics on it. QLM imagines a business model where it leases the sensor to service companies for a fee. It also believes that there is scope to expand the technology. Speaking at the conference, QLM founder Dr. Xiao Ai said, “From the beginning of next year, we will be conducting flight field trials. We have already received a lot of commercial interest and NPL is helping with the calibration.” NPL has developed its own technology which can be used to quantify emissions from an entire facility. However, the technology called DIAL (Differential Absorption Lidar), is cumbersome and has to be carried within an entire articulated truck. One of the company’s goals will be to seek ways to miniaturise it. Andy Connor, Higher Research Scientist at NPL said the industry was, “Increasingly looking to use low cost methane sensors. The advantages include the fact that they are small, light, portable, use simple electric circuits and have low power consumption. 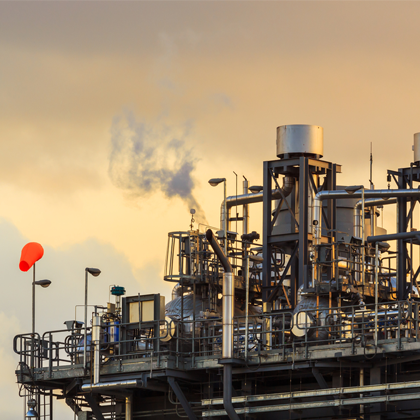 However, one disadvantage is their sensitivity to water vapour.” DIAL is currently engaged in a study with the Oil and Gas Climate Initiative (OGCI) programme to try and find better ways for the industry to address and understand methane emissions. I have 30 years experience as a freelance business, economy and industry journalist, concentrating on the oil, gas and renewable energy, telecommunications and IT sectors. I have authored a number of well received in-depth market intelligence reports. And I have also spoken at conferences.